Carle Fell Tarn is a small, reed-fringed tarn, situated above Carle Fell Quarry on the slopes of Dead Man’s Hill in upper Nidderdale. 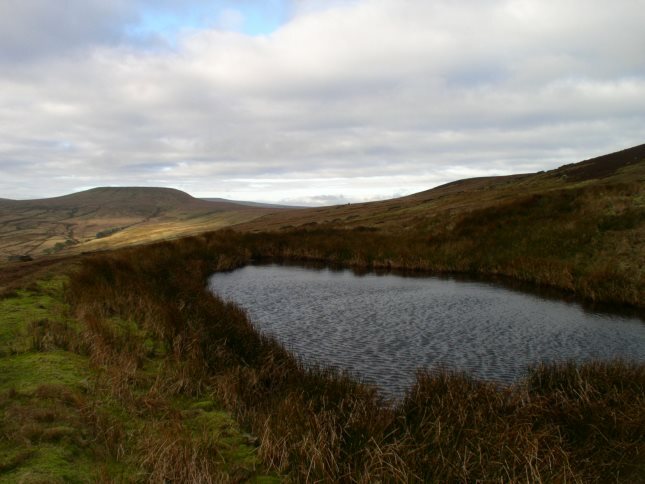 The tarn is not actually named on the OL30 or 298 Ordnance Survey Explorer maps and doesn’t appear at all on the corresponding Landranger map. Carle Fell Tarn seems an appropriate if unoriginal name considering it is situated on Carle Fell Side, above Carle Fell Quarry and Carle Fell Road. 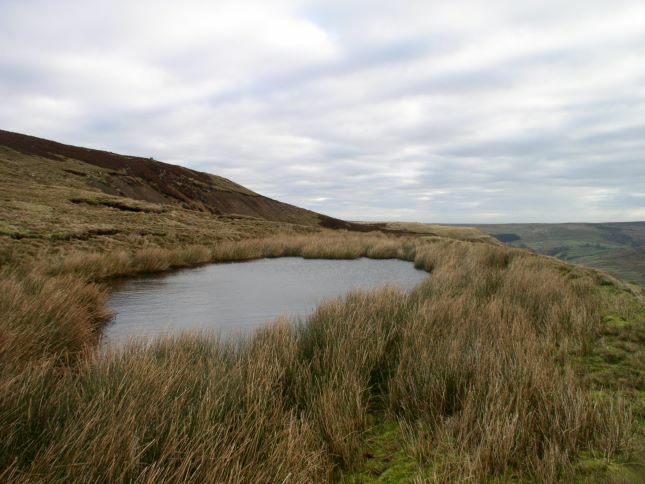 The tarn can be easily reached from the large car park at Scar House Reservoir. Simply cross the reservoir dam and then climb up the steep incline from Carle Fell Road up to the quarry. Stay on the track as it winds round to the upper quarry at which point climb above the rim of the quarry to find the tarn. 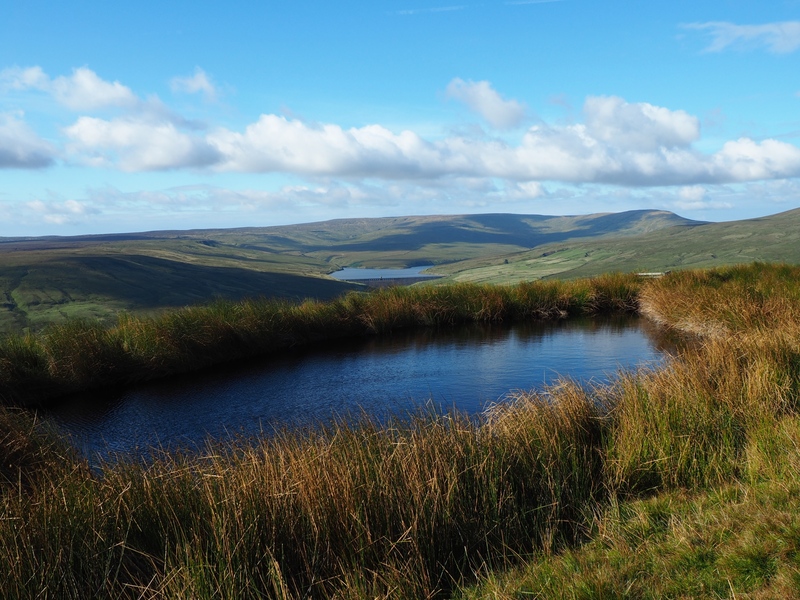 Although a relatively small tarn it is a pleasant enough spot with the added bonus of a great view down to Angram Reservoir at the head of the valley.